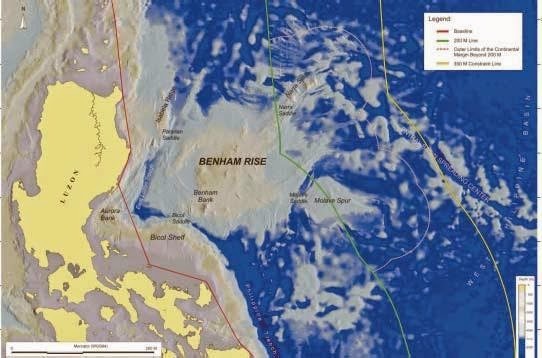 Benham Rise, Philippines. Officially ours. Officially Filipino. Marine scientist Cesar Villanoy, the leader of the Benham Rise Program said in an interview on Solar News that they were "seeing things that no other human has ever seen before." They were the first to explore the undersea plateau believed to be a rich source of natural gas. Extensive exploration of the site is expected to be very expensive. Our local resources are not equipped with the appropriate technology to conduct research in the new territory. The Philippine government will have to find means to propel the research program forward. For now, we can sit back, relax and revel in this blessing that we have a new territory with the potential of uplifiting our economy. That's great to know! I hope that the government could find a way to utilize this to help the Filipinos. This is good news for Pinoys. Sana lang maalagaan natin ito. Nice, im excited about this. Can't wait to promote this gem of your country. yay, finally! after a few years of battle...now, it's officially ours! I've heard about this in the news and felt so good. I just hope this new territory will be used to its full potential - that is, for the common good. sana nga walang umangkin na iba...hehehe..and yeah, hopefully our government people will take good care of it. wag lang pera pera. I've always wanted to scuba, but so far have only snorkeled. Looks like a great place to discover! very interesting and beautiful place!